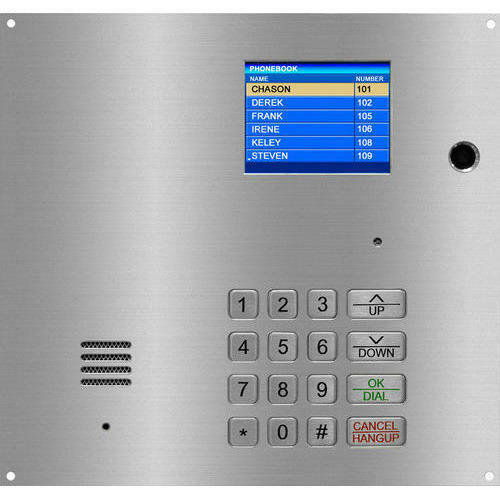 Owing to the dedication of experts in our team, we are best in giving Door Intercom System at lowest rates. They are latest in version and available with best sound quality. We, “Maruti Electronic System”, are leading name in the market established at Thane, (Maharashtra, India). We are the best Supplier and Trader of security products like Security Systems, CCTV Camera and Video Security System. All these security products are designed by our vendors with the use of best quality machines and tools. Our vendors are experienced and well qualified in this realm. They create these security products keeping in mind the current market standards. All these security products are best in functionality and available at market leading rates.